The genesis of The Pub Club concept was my observations at a Gordon conference in 2011. I saw firsthand how the conference experience reinvigorated and even excited a friend who had grown frustrated and depressed. The idea came: “How great would it be and how much would our science improve if we could duplicate the excitement, the interactions, the networking, the science discussions, in essence “the conference effect,” back at MSU?” It was a couple years later at the Keystone conference in Montana I first met Detlef Weigel and introduced him to friend and current “Arabidopsis Hunter,” Gautam Shirsekar. 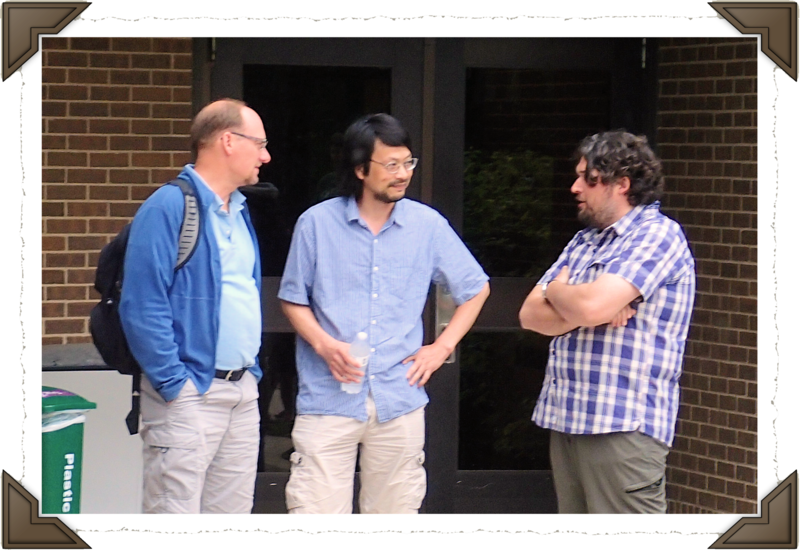 Following a massive “recharge” at the MPMI conference last year I visited “Weigel World” and made new friends, which included current visitor Emanuele Scacchi. It was this combined experience that made me determined to reach for that original “Pub Club ideal.” When I returned in September, The Pub Club 2.0 was born. We welcome and thank Emanuele for visiting and look forward to opportunities to work together in the future. We also thank Detlef for supporting Emanuele in his efforts to expand his circle of reference and impact. Lastly, we are happy to add Emanuele’s name to Jane Devos and Gautam Shirsekar on the list of The Pub Club’s extended family/network. 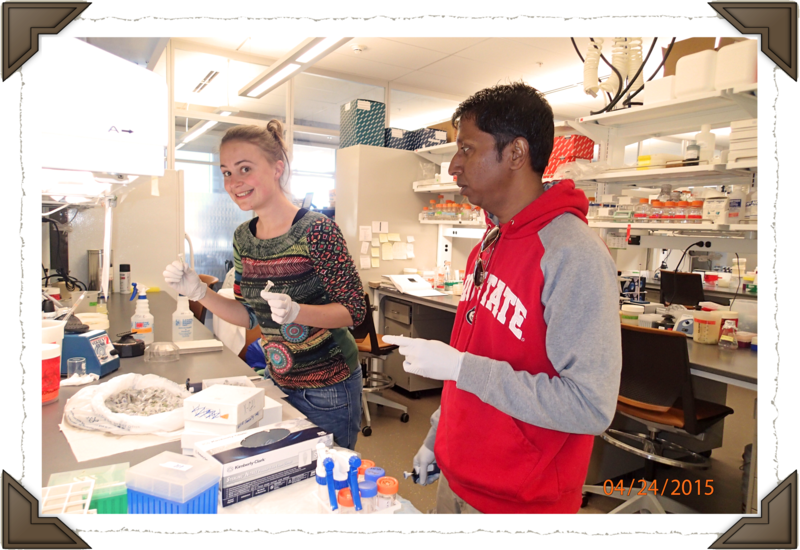 04/24/15 – Jane & Gautam use my bench (Yes, Gautam, I do have pipets!) to remove the RNA Later from their samples prior to freezing.